A GatorLink ID is your primary computing identity and provides you access to many UF computing resources including email, podium computers, Canvas, VPN and my.ufl.edu. Typically, you create a GatorLink ID immediately upon joining the University. GatorLink ID’s are often a primary email address, in the form of username@ufl.edu, for UF constituents. Like many things you will encounter at UF, your GatorLink ID is saddled with significant policies and responsibilities. You can find some of them at: www.gatorlink.ufl.edu/policy most importantly you need to realize that a GatorLink identity is exclusively tied to you. No two are alike and you should consider using it equivalent to signing your name. Do not share it; doing so could be equated to handing over a power of attorney. The easiest way to create your GatorLink id is to navigate to my.ufl.edu and click on ‘GatorLink Account Creation.’ You will need your UFID, Last Name and Date of Birth. 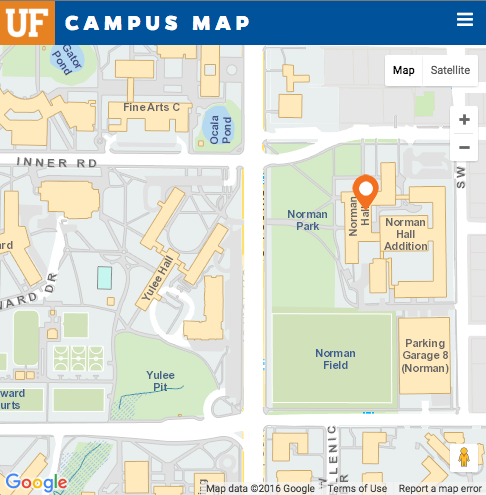 If you encounter any difficulties creating or using your GatorLink ID, they are managed by the central UF Computing Help Desk and you will need to call them at at 392-HELP or via email: helpdesk@ufl.edu. Additional information about GatorLink accounts and services are available at: help.gatorlink.ufl.edu. As a faculty or staff member of the College of Education you will be given an account on our Microsoft Exchange Server infrastructure. Our storage is limited. At this time we are not implementing hard limits on storage. However, once your mailbox reaches 250MB you will receive a daily warning that your mailbox is too large. The Office of Information and Instructional Technology (OIIT) has installed a Barracuda Spam Firewall and filters both spam and viruses. You can find out more about this device at www.barracudanetworks.com. As set, the firewall is blocking mail sent from known sources of spam and fake or “spoofed” e-mail messages. We are not scanning individual COE e-mail accounts at this time. You can have your personal COE e-mail scanned explicitly by contacting us helpdesk@coe.ufl.edu. Once your e-mail address has been configured on the firewall, you will receive an e-mail directing you to your quarantined messages. The quarantine will allow you to delete, forward and manage suspected Spam. UF Exchange is collaborative messaging software which handles email, calendar and contacts on your PC, phone or web browser utilizing Microsoft Exchange. Contact us at helpdesk@coe.ufl.edu to start using UF Exchange or visit UF Exchange to find out more. Listserv is Email List Management software which handles all of your opt-in email lists, including email newsletters, message delivery lists, searchable archives, activity reports, distributed list ownership, discussion groups and email communities. To find out how to start using Listserv contact us at helpdesk@coe.ufl.edu. The College of Education offers server storage on web, Sharepoint and file servers. 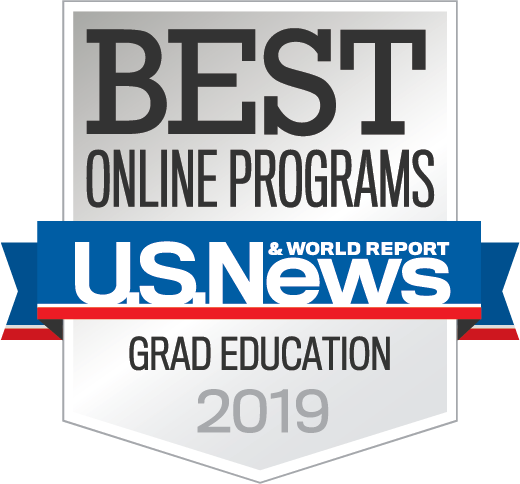 These computing resources may be made available to students, faculty and staff to further the College’s educational and research related missions. We do not implement hard limits on server-based storage; however, our resources are limited. Storing more than you need or trying to use file server space to backup your entire machine impacts directly our storage and backup costs. If order to avoid the need to charge for resources and maximize the life of our infrastructure please help us by using the space as efficiently as possible. File space for individuals is not created automatically and should be requested from OIIT. Access to existing files within your department or responsibility area must be approved by a supervisor. Our primary file servers can be accessed by either Macintosh or PC-based computers and drives can be mapped so that they appear local to your machine. As with most of our services, access is controlled by Gatorlink ID’s. While incidental personal use is permissible in most settings, these resources are made available only for College-related activities. Official UF Policy states that occasional personal use of university computing resources for other purposes is permitted when it does not consume a significant amount of those resources, does not interfere with the performance of the user’s job or other university responsibilities, and is otherwise in compliance with this policy. Further limits may be imposed upon personal use in accordance with normal supervisory procedures concerning the use of University equipment. Please do not store inappropriate and or a disproportionate amount of content on College computers, such as lots personal digital video, music or photos. In addition to the inappropriate use of state resources, this content may pose a liability to the College. For example, if the content is subject to copyright regulations. Any content which does not meet the multitude of regulations referenced within the University of Florida Acceptable Use Policy may present a liability. If you find that you need to utilize or store personal content, we recommend you purchase a portable hard drive and keep the content off of state owned equipment. With the exception of storage utilization, OIIT does not monitor, filter or regulate content on our servers. Under certain circumstances, however, the College may be held liable if it fails to take reasonable remedial steps after it learns of illegal uses of its computer facilities. It is your responsibility to ensure that you use computer resources lawfully. You may submit a request for equipment by following this link: Submit a support request. Loss and Damage – You are responsible for any damages or losses. As a borrower, you assume all responsibility for any damage, loss or theft of the equipment and accessories checked out to you. All costs associated with the loss, theft or damage of the equipment while on loan to you shall be the sole obligation of the borrower. Replacement charges will be based on the cost of parts and labor to repair the equipment and consideration of “normal wear and tear,” or the current cost of replacing the unit – whichever is most appropriate. The borrower bears responsibility to return all equipment in the same condition as originally loaned. Use of Equipment – You are responsible for abiding by all laws and policy. As a borrower, you agree to use borrowed equipment in a careful manner and as intended for academic pursuits and campus events. You shall comply with all applicable federal, state and local laws and university policies applicable to the use of the equipment. You agree that you have read the University of Florida – Acceptable Use of Computing Resources Policy (http://www.it.ufl.edu/policies/aupolicy.html) and you agree to abide by this and all UF Information Technology Policy and Standards. You understand and agree that failure to follow all policies may result in removal of borrowing privileges. Return – You will return the equipment in a timely manner. You understand that failure to return the equipment at the scheduled return time may result in a fine, and/or the loss of future loan privileges as determined by the College. Checkout Limitations – Duration and quantity. All students – Undergraduate or Graduate – One week. Faculty and Staff including GA’s – Three weeks. No more than one laptop, projector or camera per named borrower. Exceptions may be made by the Director or Associate Director dependent on equipment availability. The Office of Information and Instructional Technology provides consultations to staff, faculty, and students on a variety of software and technology topics. To request one-on-one assistance, please send a request to helpdesk@coe.ufl.edu. Our staff can provide limited one-on-one assistance with security and productivity software as well as assistance with common technology tools such as tablets, cell phones, projectors and digital recorders. UFIT provides lynda.com to all students, faculty, and staff. Visit lynda.com for free access to over 1,300 lynda.com courses. We currently host an application on our server called VTSurvey that many use for research and other survey related purposes. VTSurvey offers many features, but much like other applications, it’s not perfect and does not meet the needs of everyone. UF also offers a survey service called Destinations (http://www.crc.ufl.edu/applications/Destinations/Surveysystem/login.html). Surveymonkey is a commercial service and is regulary used by several COE departments. There has been some concern in the past of confidential data being housed with a 3rd party and issues with security and access to data. Proofpoint is filtering software which scans all your emails for SPAM and viruses. Proofpoint effectively stops email SPAM and keeps your emails safe. Proofpoint is very easy to setup and use. You can visit the following page to find out how to access Proofpoint Settings. For support, configuration and general advice on Proofpoint contact us at helpdesk@coe.ufl.edu. Additional information on Proofpoint can be found: Proofpoint. Elluminate is a type of “collaborative software” that permits you to host and engage in a number of activities on-line. This includes Internet forums, on-line chats, instant messaging, voice conferencing, video conferencing, and application and data sharing. Collaborative software can be used for a number of purposes including training sessions, live instruction, polling, meetings, as well as providing live orientation sessions, web conferences, tutorials, and recruiting sessions. Please note that you will need a microphone/speaker/headset to utilize the application effectively. If you would like to learn more or are interested in using the software please contact us at helpdesk@coe.ufl.edu.